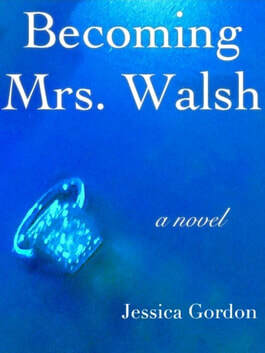 Novel takes place in Washington, D.C.
1) Shoshana Thompson is 26 years old, miles from home, and engaged to the last single Walsh brother (of Washington's famed Walsh family). 2) Life in the fast lane comes to a screeching halt when Shoshana develops feelings for another man. This man is not only part of her fancy new world; he's also completely off-limits. ​3) When she discovers the feelings may not be one-sided, things are about to get a lot more complicated. 4) A little note from me: I hope that you enjoy the book. I write fiction, chick lit in particular, for one reason: PURE entertainment. If you're looking to break out of a day, rut, month, switch it up, shake it up, or live in someone else's world for bit — try it out. I love hearing your thoughts. Reach me any time: jessica@jessica-gordon.com (jessica at jessica dash gordon dot com).